Sat., Sept. 16, 2017, 9:13 p.m.
KALAMAZOO, Mich. – Western Michigan absorbed Idaho’s best shot Saturday and came back to knock out the Vandals 37-28 with a pair of touchdowns and a field goal in the fourth quarter. Idaho falls to 1-2 after the nonconference game. WMU has the same record. The game began slipping away from the Vandals when the Broncos’ Obbie Jackson intercepted Matt Linehan in the end zone. With second down at the WMU 35 and leading by nine, Idaho was attempting to deliver a fatal blow when Linehan looked for Alfonso Onowor for a score. When Onowor slipped in the end zone, Jackson was there to pick off the ball and turn the tide. The Broncos went 80 yards in seven plays, with quarterback Jon Wassink going for the final 22 yards, carrying Vandals with him across the goal line. That score cut Idaho’s lead to 28-26. After the Broncos went three-and-out, a short Cade Coffey punt gave the Broncos great field position at the Idaho 33. In a key play, on second down at the 23-yard line, Giovanni Ricci spun at the 1-yard line to catch a pass Wassink threw behind him. Wassink scored to put the Broncos in front 34-28. Western Michigan added Josh Grant’s 30-yard field goal with 1:59 to play. It was a bittersweet night for Linehan. His 16-of-26 passing for 229 yards and three touchdowns allowed him to pass Vandals great Ken Hobart for fourth place on the Idaho career passing list, with 9,369 yards. But Linehan also threw the costly interception and had two fumbles that WMU recovered. “It’s hard when you give a game away. We had a nine-point lead in the fourth quarter,” Idaho coach Paul Petrino said. For the first three quarters, Idaho played its best football of the year, Petrino said. “But we’ve got to find a way to win that game in the fourth quarter,” he said. Early on, it was Idaho that rallied. 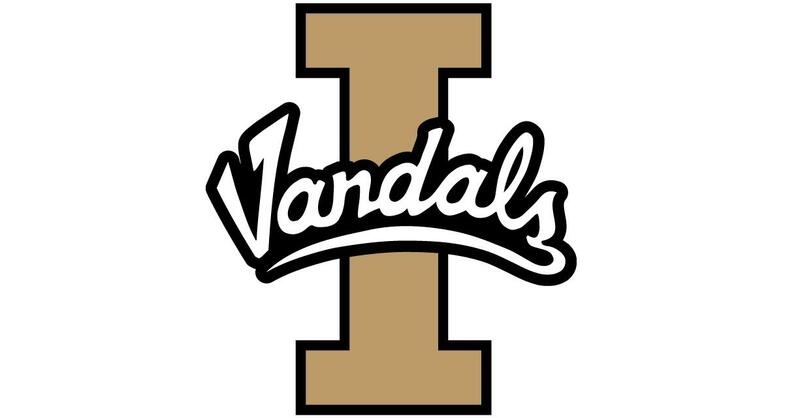 With the Vandals down 3-0, Aaron Duckworth ignited them, taking a 5-yard pass from Linehan and running 55 yards after the catch to the 5-yard line. Linehan followed by hitting tight end Joe Wysocki for a touchdown at the close of the first quarter. Duckworth struck again on the next series with a 73-yard run to the WMU 3-yard line. Linehan capped the drive with a touchdown pass to David Ungerer. Duckworth led Idaho with 97 yards on 13 carries. The Vandals led 14-6 at the half. WMU drew within a point when Wassink hit D’Wayne Eskridge for a 15-yard touchdown. The Broncos pulled ahead 19-14 on Levante Bellamy’s 19-yard run. The drive was set up by electrifying return man Darius Phillips’ 46-yard punt return. He also set up another score with a 40-yard return. For the most part, Idaho was able to keep the ball away from the player who took kickoff back 100 yards for touchdowns against both USC and Michigan State in WMU’s first two games. Published: Sept. 16, 2017, 9:13 p.m.